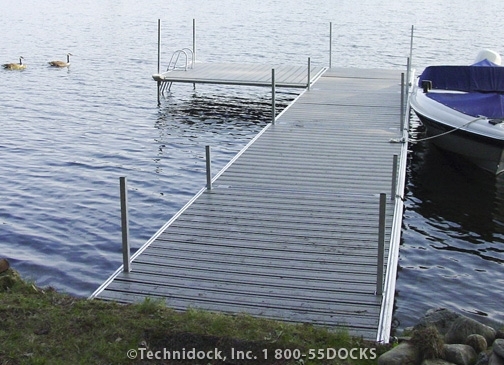 Residential Docks | TechniDock, Inc. 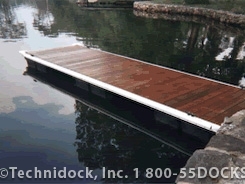 This new design from Technidock is targeted directly at residential and light commercial applications. 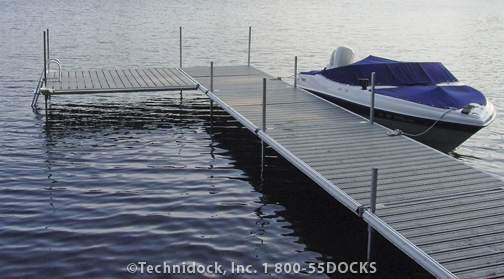 We told our engineers to design one system that works for both waterfront uses. When they finally stopped insinuating that we were crazy, they came up with a system that does exactly what we asked. 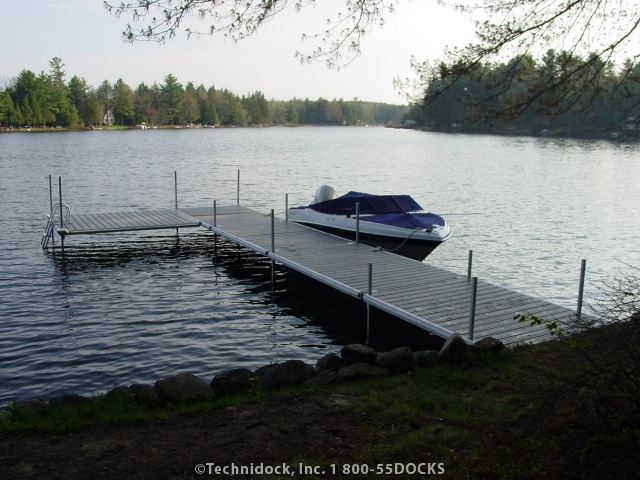 The modular design allows us to ship units via UPS, keeping freight costs at a minimum. 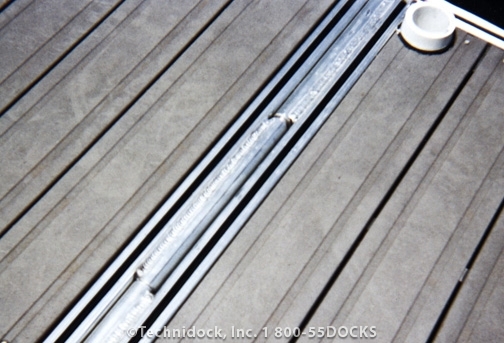 The modules can be configured in many different ways to create simple straight runs, “L”, “T”, or “U” configurations. 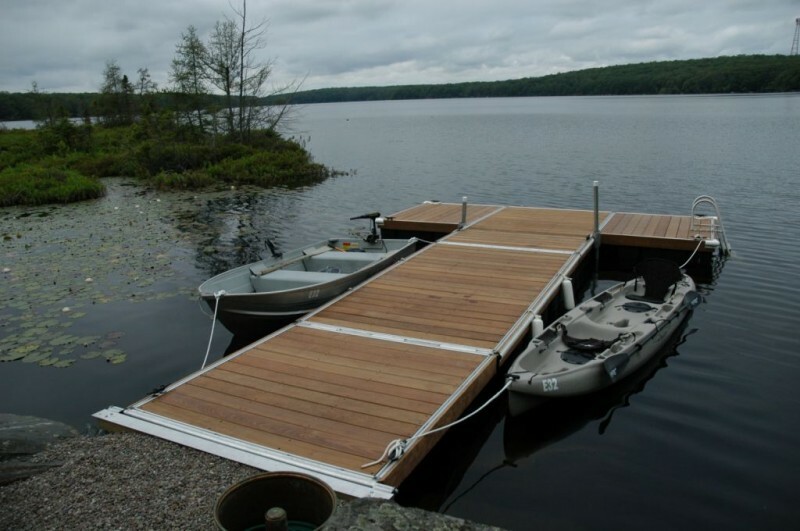 They can be used as floating docks, freestanding, or pile mounted. 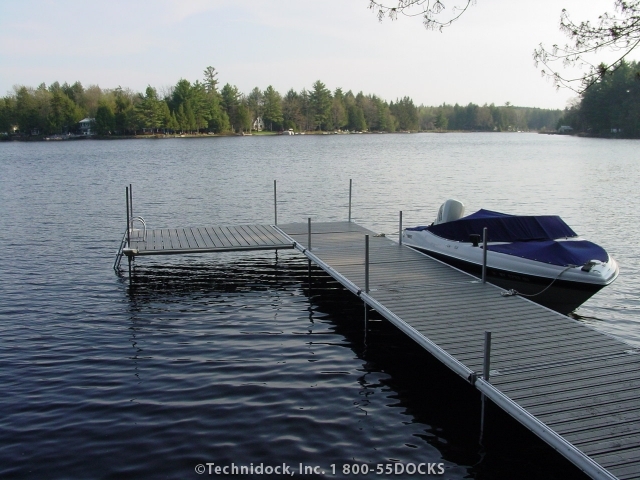 Each module is light enough for two people to pick up and carry anywhere they please. 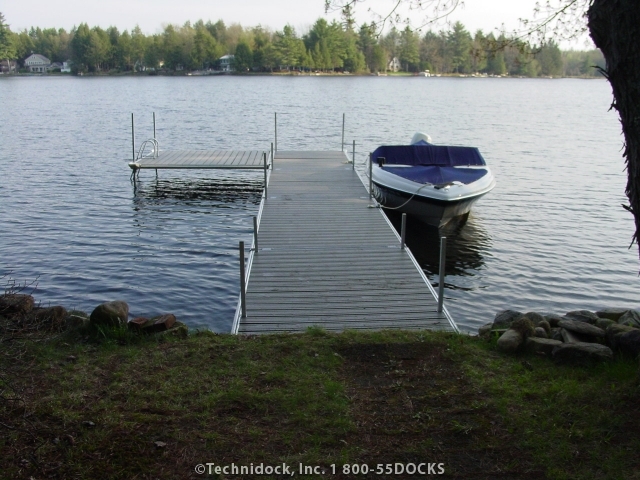 What kind of decking would you like to use? 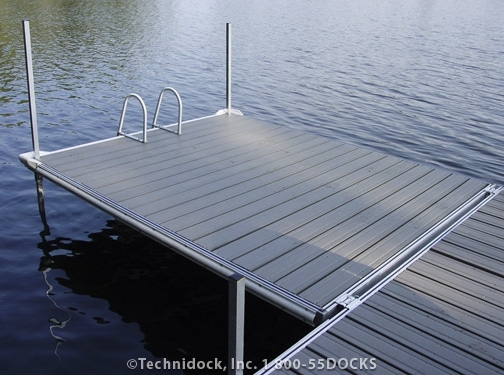 Our light commercial dock system is available in multiple types of decking including long lasting durable T-Deck, Plastic and Vinyl decking. You pick! 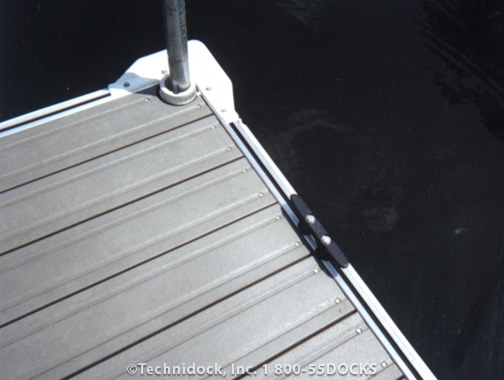 Accessories like cleats, colored trim, pile holders, leg holders, rub rail and fancy lighting are readily available. Now did we miss anything? Oh Yes, it is very affordable! 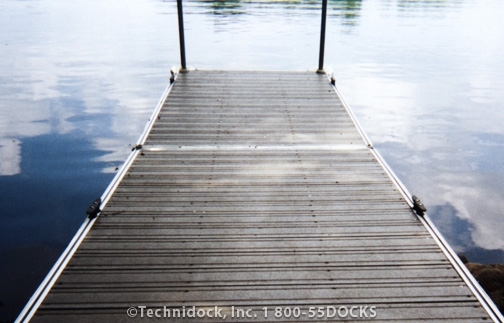 All you have to do is call us.